Sophia brought both humor and compassion to the written word, keeping readers up to date on her antics and activities, her attendance at important events and fund-raisers, her unmistakable fashion sense and even her doggy crushes and romances! Most importantly, Sophia has passed her diva wand on to Miss Olive, who continues to serve as a vocal spay/neuter advocate, as well as a strong supporter of adoption through area shelters and rescue groups, embracing that all animals deserve a loving forever home. 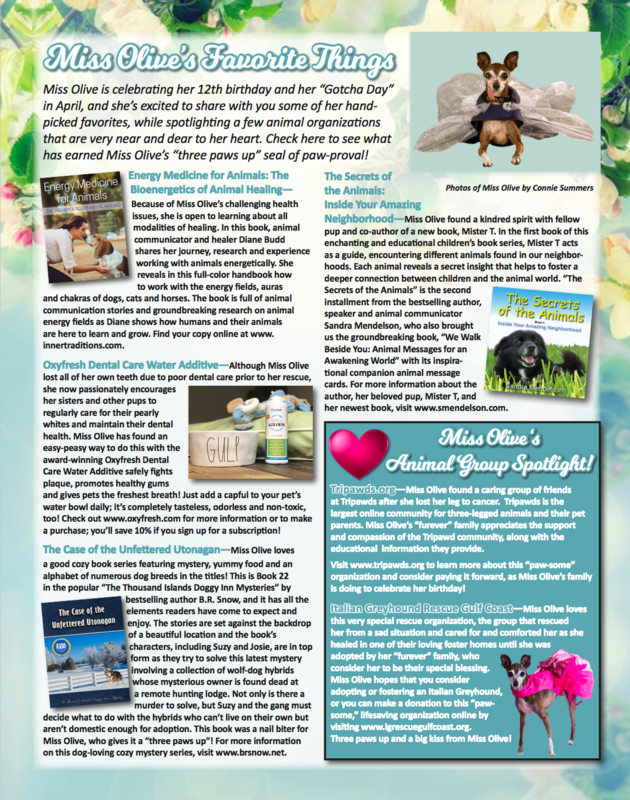 Missed an issue? 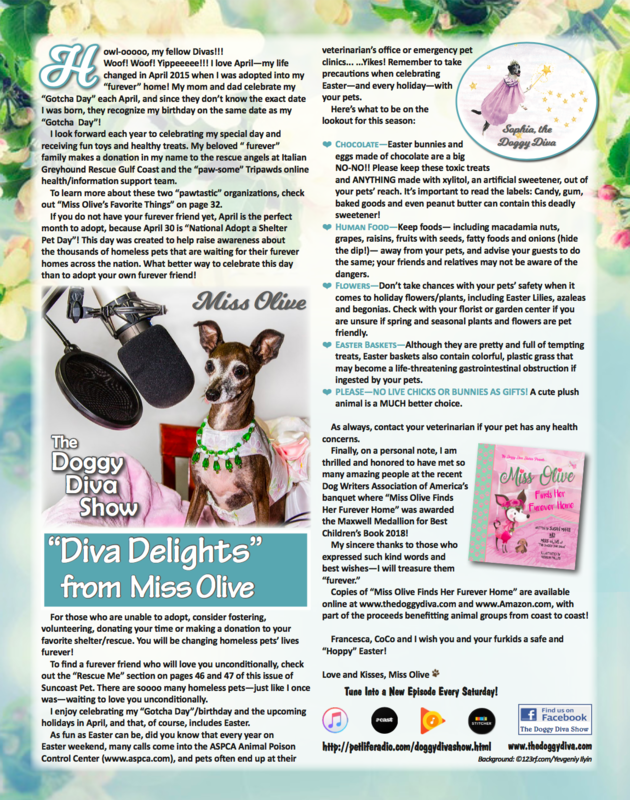 Click here to check out our “Diva Delights” Archive.